The size is 12" x 12". It does NOT have hanging holes in the corners, rather it has two hanging brackets in back. It is a fairly rare sign as the company that manufacturers it is small and relatively unknown. 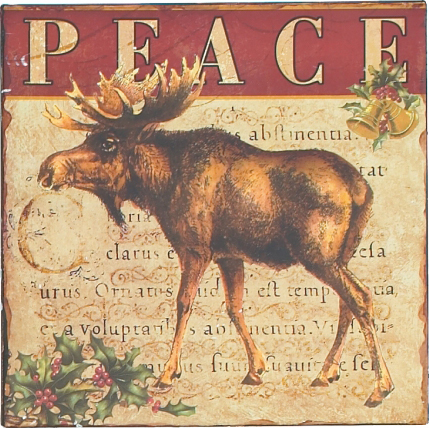 The Moose Peace Tin Sign is a wall decor item.